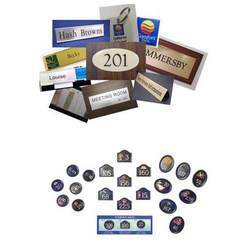 Pioneers in the industry, we offer brass numerals and plates and wooden numerals from India. We use latest high tech equipment to design, build and manufacture your brass number plates and brass numerals. These brass numerals are manufactured using high grade material which is procured from reliable vendors. We represent a wide collection of wooden numerals and wooden number plates of different decorative designs, shapes and sizes. 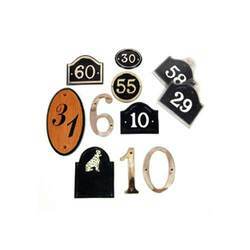 Although these wooden numerals and wooden number plates are sturdy and strong, they look petite and delicate and give a graceful appearance to the apartment. Looking for Brass Numerals - Number Plates ?